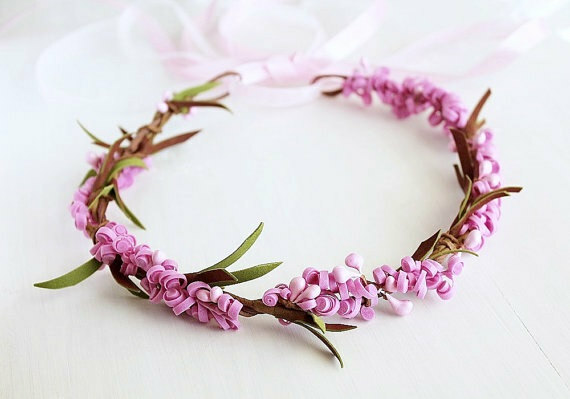 Home | Giveaway: Win a Rustic Hair Wreath! 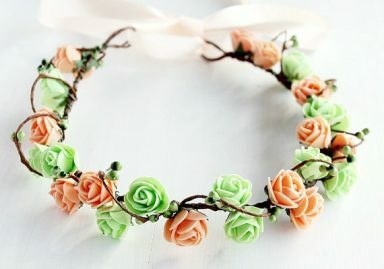 You could win a rustic hair wreath by NoviaBellaTS! Enter for a chance to win… and subscribe so you never miss an upcoming giveaway! Good morning, loves! Happy weekend! 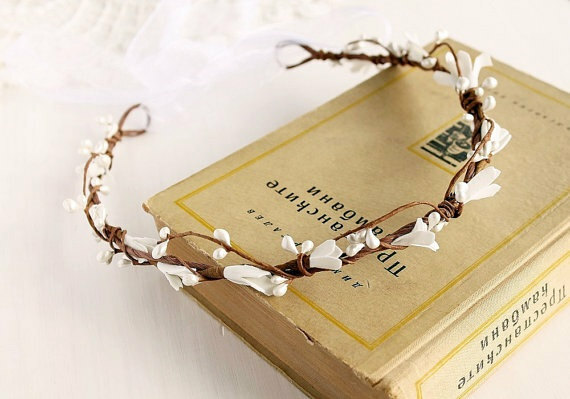 We’re kicking off this Saturday morning with a giveaway from the lovely NoviaBellaTS! 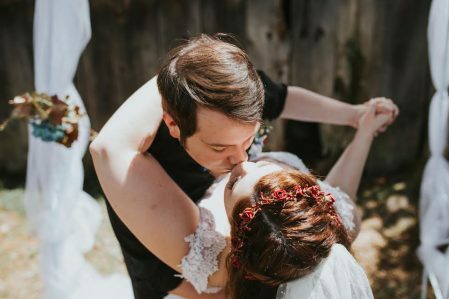 Tanya, shop owner and designer, creates gorgeous rustic hair wreath designs for every bride with over 100 in her collection. 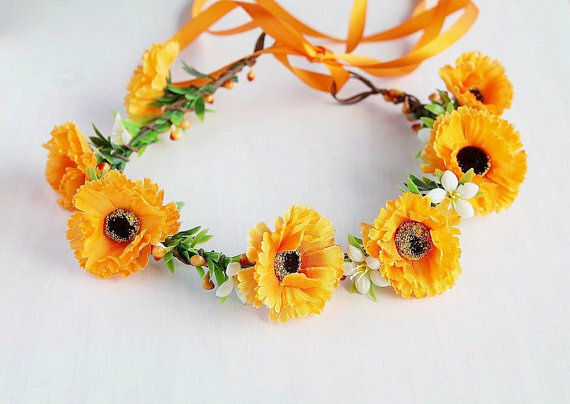 To inspire you, we’re sharing our top picks for hair wreaths. 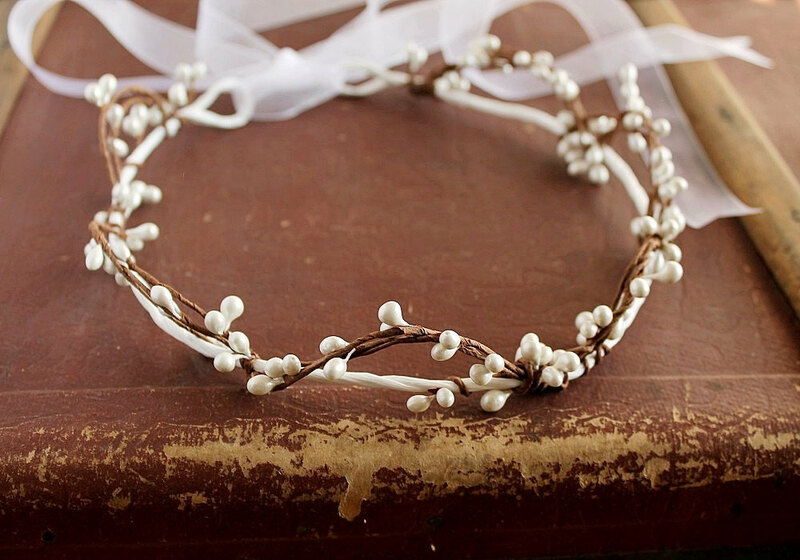 Plus, we’ve teamed up with NoviaBellaTS to give away a beautiful red berry hair wreath (shown above) to one lucky bride-to-be! 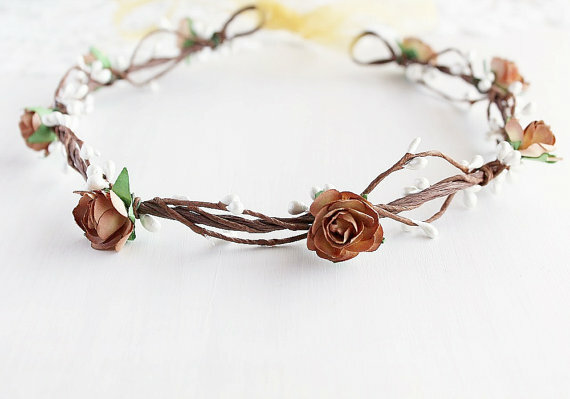 Find out how you could win a rustic hair wreath and see our other favorites from her shop! Enjoy! 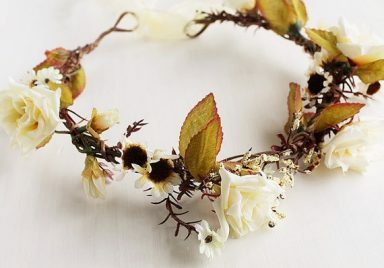 Here are our top hand-picked favorites from NoviaBellaTS. 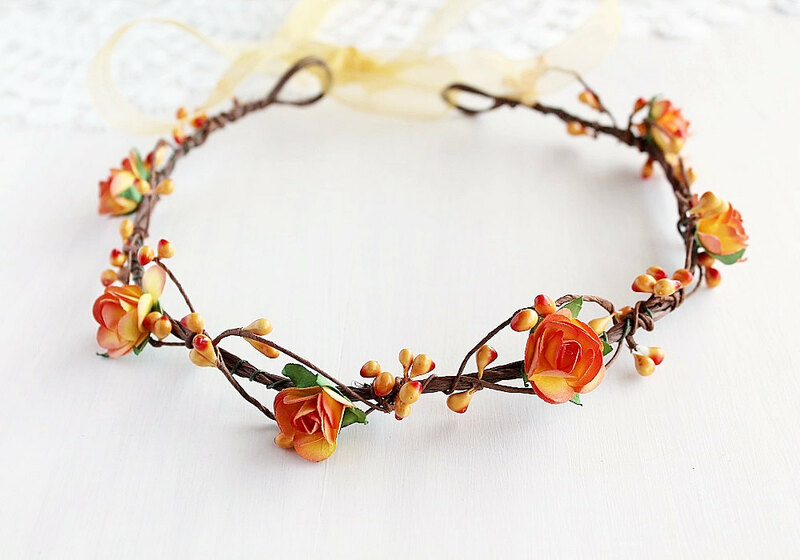 Each hair wreath has a ribbon for tying in the back to fit any size. 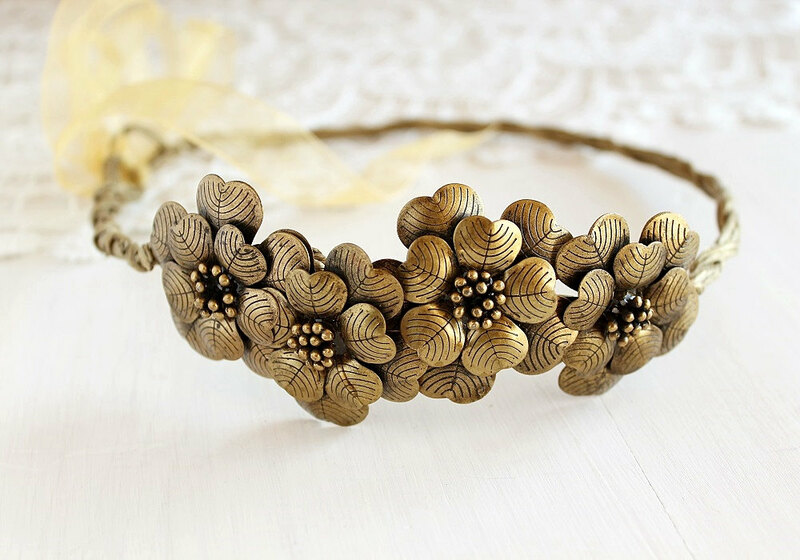 It is an ideal choice for a bridal veil alternative or hair accessory for your bridesmaids or flower girl. 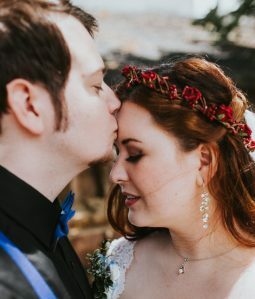 Which hair wreath do you like best? 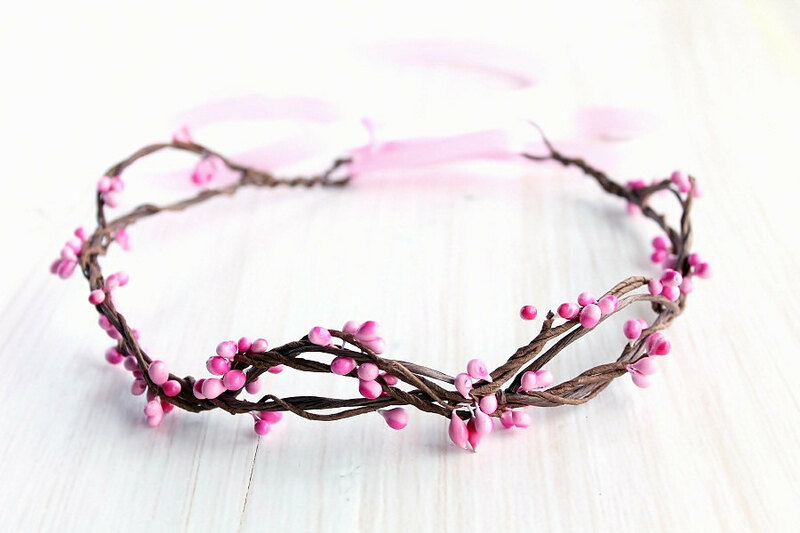 Now you can enter for a chance to win this beautiful marsala hair wreath! 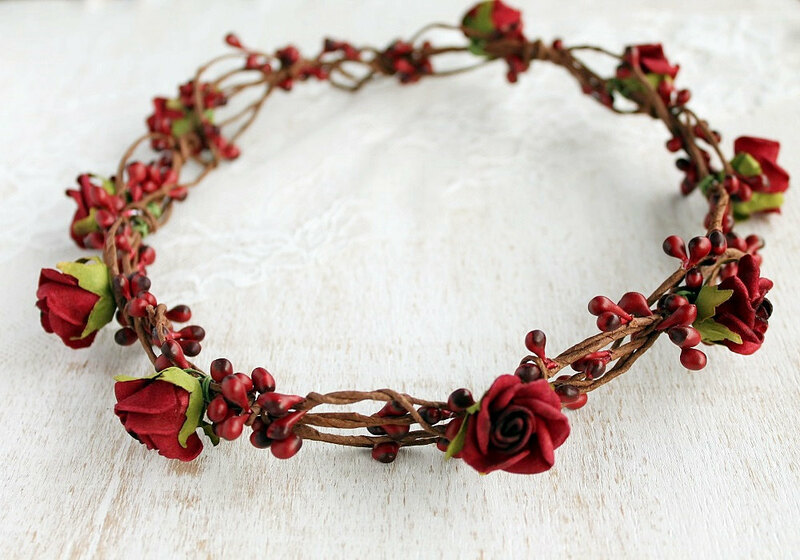 About the Prize: This deep red rose crown is made of marsala roses, twined around vine wire base, adorned with marsala pip berries. 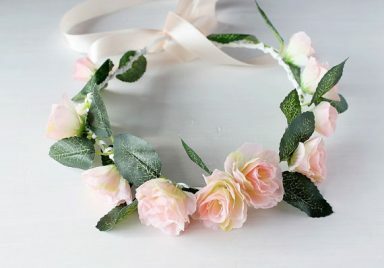 Perfect bridal rose halo for bohemian bride, great hair accessory for music festivals, ideal for brides, bridesmaids or flower girls. 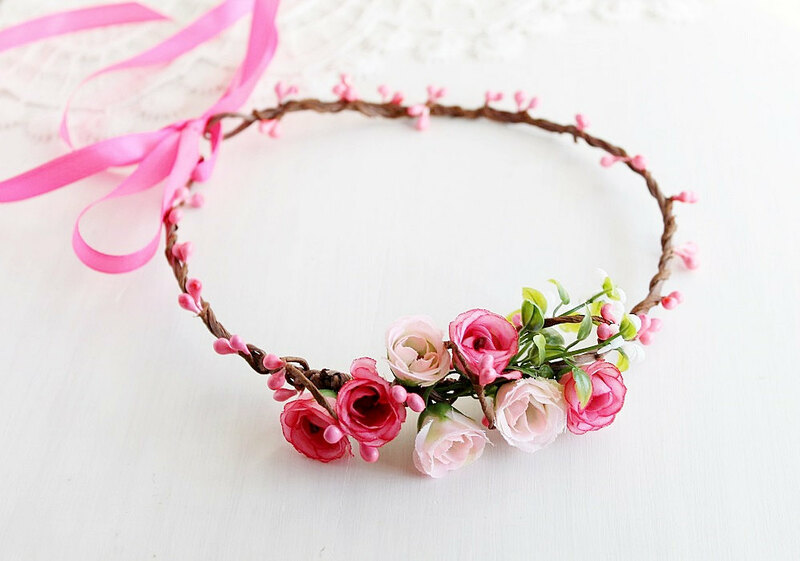 The crown is adjustable. Burgundy (marsala) satin ribbon ties on the back to adjust and fit to any head size. Want yours now? Head over to NoviaBellaTS to see the full collection and/or order yours! 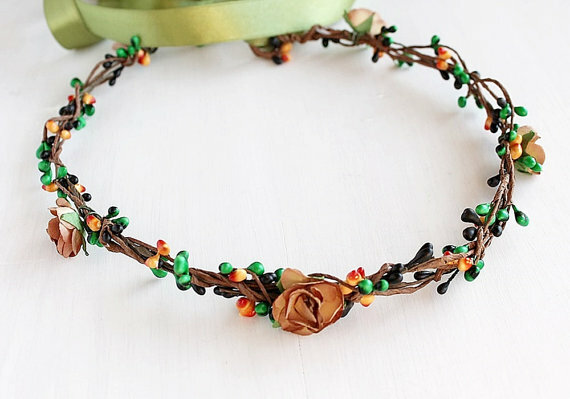 NoviaBellaTS is a Featured Artist in The Marketplace. 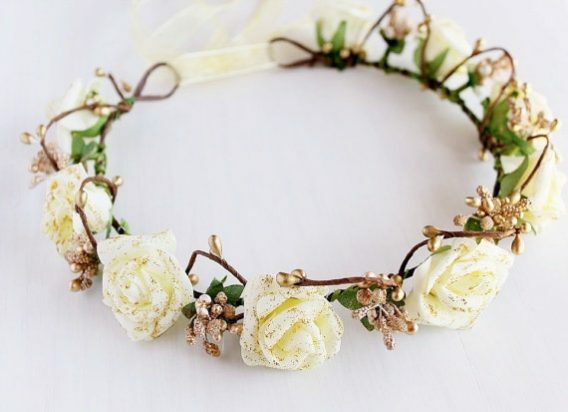 the flower girl crown is cute (gold berry)! 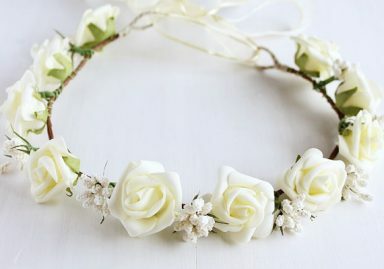 love the ivory bridal crown!